This compact neck knife features a swedged drop point blade with a black stonewash finish and smooth, contoured black G-10 scales. 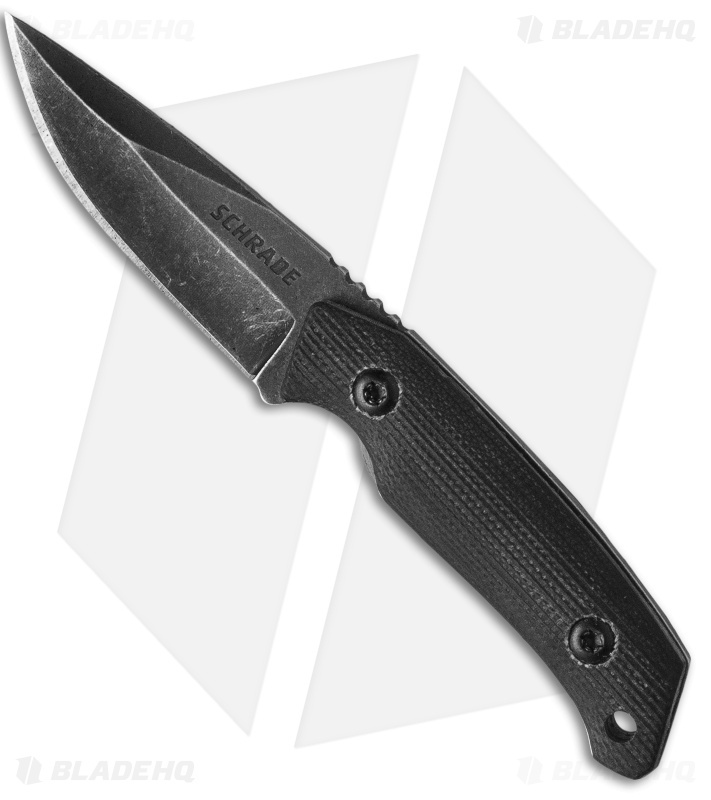 An index groove at the blade-to-handle transition, along with notches on the spine, enable a secure grip on this compact fixed blade. 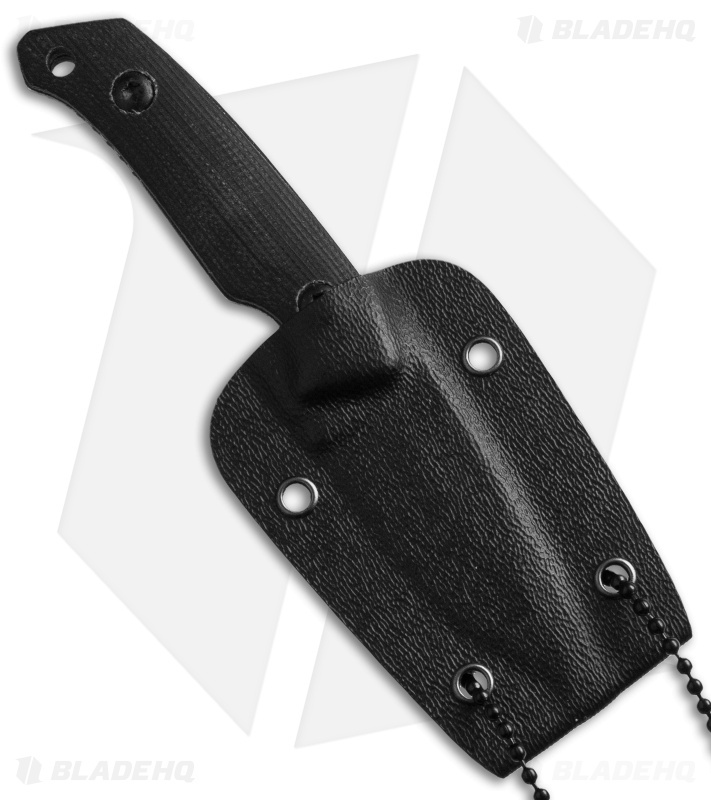 The Schrade SCHF13SM includes a Kydex sheath ball chain for neck carry. I end up using this knife the most, it feels good in the hands despite its size. As stated by others the kydex sheath was a little loose and it needed slight sharpening, but those were easily fixed. A very good knife and sheath for the price. But very small and limited in uses. Pros. This knife is most definitely my favorite "small knife". It out performs all my knives in small fuzz stick and carving work and comes with a decent edge. Only con. Kydex sheath is a little bit loose, but just hold it over a toaster and then with leather gloves squeeze the sheath to make it tighter. Not a big deal for such a low price, but great quality knife.